If you own a motorcycle you are probably interested in modifications. It seems to go part and part with owning a bike these days, that you want to make changes and tweak things, replace parts to make it purr just the way you want it. The problem is that motorcycle mods can be very expensive. If you are interested in this kind of work, but don’t want to spend more than you have to, we have put together a selection of tips on how you could save some money while tricking your bike out the way you want to. One of the easiest and cheapest ways to boost the performance of your motorcycle is by replacing the standard air filter that came with the bike with an aftermarket unit. Not only will it enhance your bike’s airflow, but will also steady and even improve the filtration. It also has the benefit of being one of the easiest modifications you can do to your bike and takes little to no time. When it comes to riding a motorcycle, the thing that stops you is more crucial that the thing that gets you moving. To make improvements you can start by replacing the stock lines for stock lines made from braided stainless steel. Stainless steel improves the control and feel and will help your bike to look neater. You can complement these improvements with aftermarket brake pads, of which you have a choice between carbon, full metallic, semi metallic or organic pads. It is important that you choose brake discs of the same kind though. It is difficult to make changes to the transmission without a lot of tinkering and effort. However, you can easily change the sprockets and chain. You have to consider though what you really want – better top speed or better acceleration. This comes down to gear ratio and this can be modified by changing out either the rear sprocket or front one, or using a combination of the two. The chains can also make a difference too, as they come in three different sizes, 520, 525, 530, with 520 being the lightest that will save unsprung weight and give you more sprocket options. Whatever you decide to do, you need to make sure you do a safe modification. Adjusting the bike controls to suit your own preferences can make a huge difference. Not only will it enhance the level of comfort you have from riding the bike, but it will also enable you to make control inputs that much easier. This means you can spend greater amount of time on different riding operations. Look at the angle of your ankle and wrist joints on the handlebars and rear sets and tweak them until the joints are in the most comfortable, natural position. If the current controls do not have any adjust-ability or very little, you may want to invest in aftermarket controls that offer more adjust-ability. 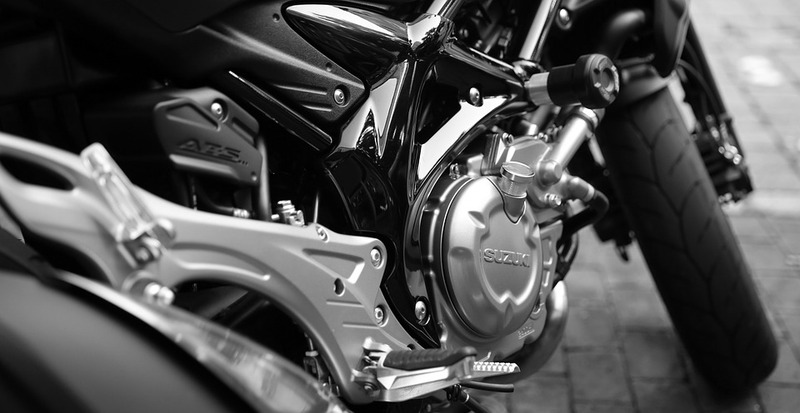 OEM motorcycle parts are great for tricking your bike out the way you want it. Obviously the tyres play a big part in how well your bike performs on the road, or the terrain you do most of your riding on. Instead of sticking to the tyres that came with your bike, you could invest in a set OEM or aftermarket motorcycle tires.